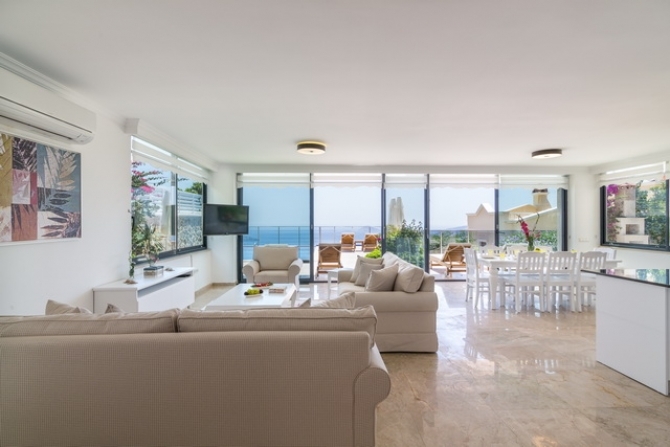 This new spacious 5 bedroom villa has breathtaking panoramic views from every floor. 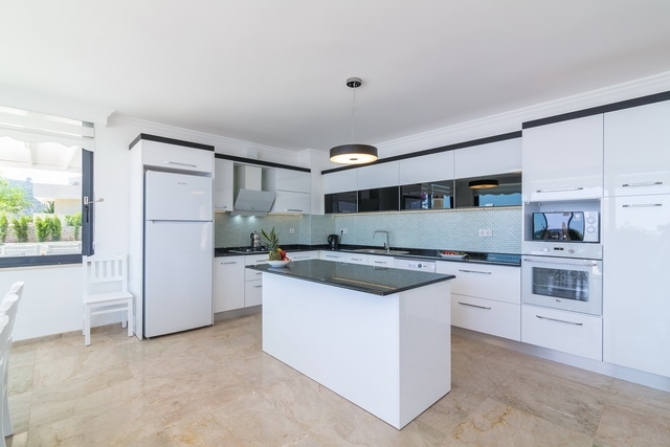 At the entrance floor there is a large open planned fully fitted kitchen with breakfast bar and finished with granite work tops, 1 en-suite bedroom and WC. The living area opens onto the sun terrace and swimming pool area. 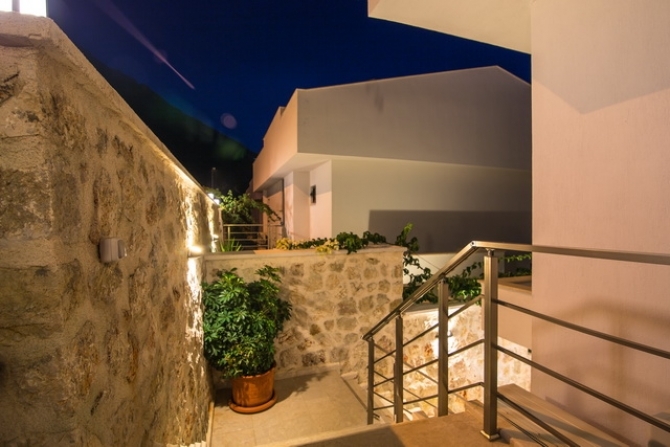 Over the first and second floors are 4 double bedrooms; with three good sized double bedrooms with two of them having private bathrooms and all the bedrooms enjoying private terraces with open sea views. 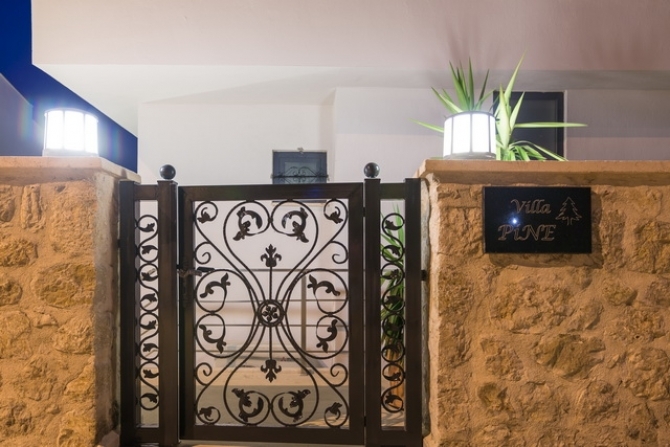 This villa is being sold fully furnished to include air condition units, and all white goods. 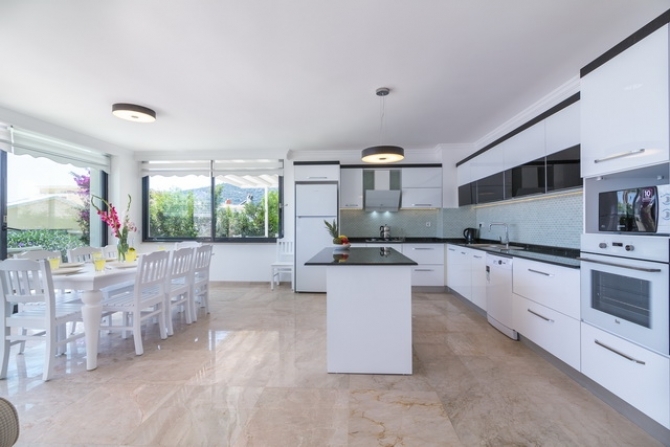 This villa has a large sun terrace along with a shaded area, with a stone barbecue leading off the kitchen area. Also there is a great roof terrace which can be used for daytime sunbathing or to cool off in the evening breeze.